Clothing and food retailer Marks & Spencer (UK) recently announced plans for brand extension M&S Bank, with branches to be located in its stores. Wholly owned by HSBC, the bank’s brand is, nonetheless, fronted by M&S. Some believe the brand extension could be a canny move by the retailer because 15% of its customers already use the M&S credit card. In contrast, Tesco, a leading supermarket business with several successful brand extensions, such as broadband and telephony, just scrapped its used car sales business, Tesco Cars, in the UK. Opened only a year ago, the business cited a lack of stock availability as the reason for its demise. Was that because consumers couldn’t wrap their heads around buying groceries and selling cars via the same retailer, albeit not under the same roof? Brand extensions can be a great way for a core brand to develop its overall brand equity and reach new customers. We can learn valuable lessons from those who have done it right, and those who haven’t. If you are considering embarking on a brand extension, answer these questions first. 1. Does your brand extension fit in with the strategic objectives of your company? Richard Branson, founder of Virgin Group, has been highly strategic about how he has grown the Virgin brand. Started as a record company, Virgin now includes mobile telephony, gyms, an airline, and even space travel. The brand is strong across disparate business categories because Branson is inherently part of the brand and imbues each Virgin business with similar values. Consumers recognize what the Virgin brand stands for, and buy into it. In 2001, Apple made a highly strategic, but also highly risky, move from making computer products to making portable digital music devices and an online music service. More than 10 years later, the phenomenal success of Apple’s brand extensions has proven that business decision right. On the other hand, Heinz made a mistake when it decided to branch into cleaning products, releasing its All Natural Cleaning Vinegar, which was based on its edible version. Consumers didn’t want to see the Heinz brand beside their detergent. The brand didn’t know its limitations and expanded beyond what consumers would accept, possibly even damaging the parent brand by association. Be strategic, take risks, but before you extend your offering… make sure you have built a rock-solid brand. 2. Is your brand extension a good fit? Is it relevant? A common brand extension is the “companion strategy,” in which the extension product is a natural bedfellow of the original brand. Rice brand Uncle Ben’s found that its products were consumed with either homemade sauces or store-bought sauces. So, the brand launched its own range of sauces; it also created an all-in-one product containing rice and sauce. Although the new product is different, in this case it enhances the parent product. So, Uncle Ben’s has deepened its relationship with its customers and has given them more reasons to buy. Sometimes, a brand extension doesn’t seem like a relevant fit, but it just works. For example, the world’s leading manufacturer of construction and mining equipment, Caterpillar, branched out into work boots and workwear, and it has been hugely successful. Although Caterpillar’s extension is operating in entirely different categories, the association between heavy machinery and quality, durable workwear doesn’t stretch the brand too far. On the other hand, Harley-Davidson pulled its branded wine cooler after poor sales. Bikers sipping on a cold chardonnay? Not quite the right brand fit. Use your brand extension to deepen your relationship with your consumers, but make sure they are going to see a relevant connection. 3. Will your brand extension be profitable in the long-term? That is the question everyone wants to know the answer to. A brand extension, done well, can open up new markets, create new categories, and reinforce (or supplement) sales. Jordans forged a new food category in 1979 with the launch of the first breakfast cereal bar. The brand can now be found in both the cereal aisle and the snack aisle. 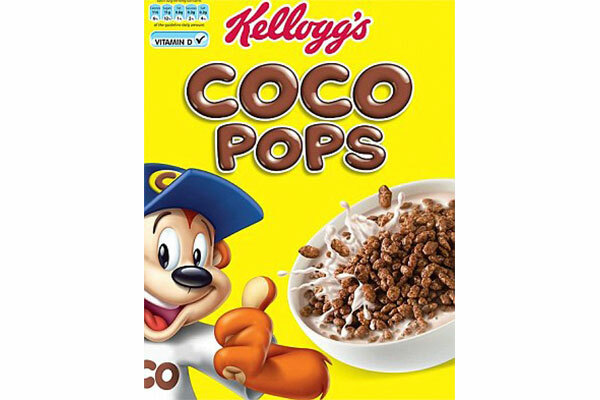 Hugely successful, the brand has inspired numerous breakfast cereal brands ever since. You see this form of brand stretch with many food brands. The malted nougat center of a Milky-Way chocolate bar flavors the Milky-Way chocolate milkshake. Rowntrees Fruit Pastilles have become an ice lolly. In each case, these brands have increased opportunities for customers to buy and others to try, and have strengthened their brands by doing so. Look for new ways and new places for customers to consume your brand and new ways to add excitement to your business. Though a new brand may benefit from the parent, it will require its own branding, brand asset management resources and most probably digital asset management, not to mention extra capacity in your sales and distribution teams. Keep in mind that nearly 80% of new products launched this year will fail within 24 months. Most of those will be brand extensions (roughly 7 in 10 new products are launched under an existing brand name). Clearly, getting a brand extension right is incredibly difficult. Be as sure as you can be that your extension will work. Then, allocate appropriate resources—people, budget, brand management, distribution, and sales—to it. This will help you avoid a brand management nightmare.